3, 6 and 9 November, Noordhollands Duinreservaat, Castricum, Noord-Holland, first calendar-year, ringed, photographed (L Heemskerk et al). The best year ever. Most individuals of this species are ringed, and Castricum is by far the best place to trap it, with eight of the 19 birds in mist-nets. October is the best month with eight records; the second bird at Castricum in 2012 was the first November record. 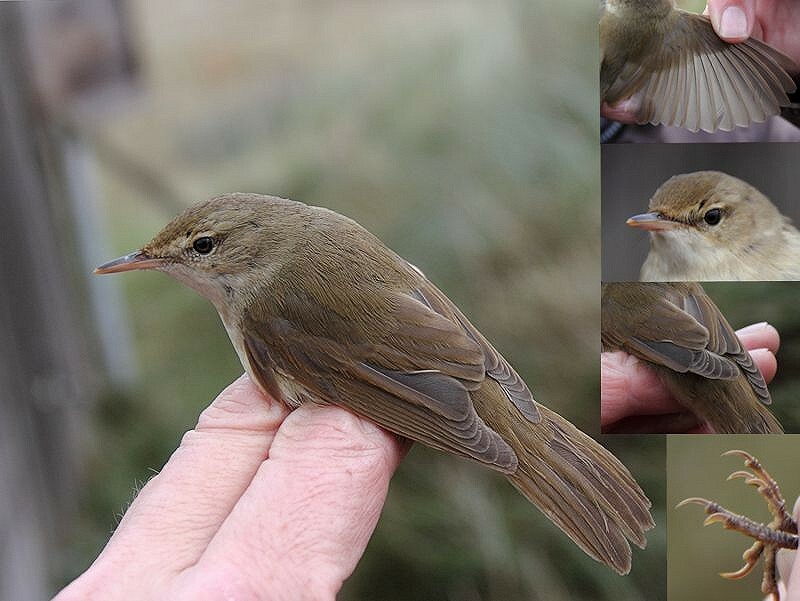 A bird ringed at Eemshaven, Groningen, on 6 May 2011 and published as Blyth's Reed Warbler (Dutch Birding 33, 275, plate 495, 2011) was not accepted. Annual Report 2012.